I have my finals for EMT / paramedic program 25th august which will be 200 multiple choice questions and some written answers. So far I've been managing to pass all exams with the passmark 80%, I am asking to please pray that I study all the correct things and I am able to explain myself clearly to pass with an awesome grade. 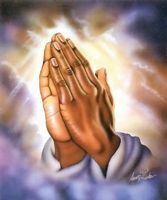 Please also pray that the rest of my classmates pass the last few exams, in jesus name amen.